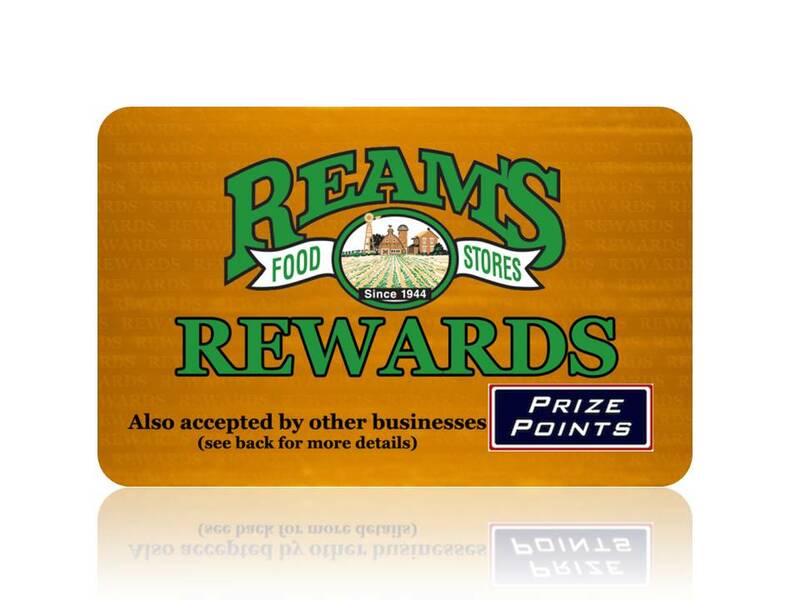 The Ream’s Rewards card is a thank you to you for your support of our locally owned and operated stores. Participation in the program is both free and optional. The program is easy to use and the points are easy to redeem. One simply presents their Rewards card with each purchase. You will be awarded at least one point per dollar spent. You can then trade those points for any of over 2,000 items in the Prize Points Catalog. Simply login to the catalog using your rewards card number located on the back of your Rewards card and the pin number that you selected on your registration form. Then find what you want and order it. The item will be ready for you to pick-up at your closest Ream’s location. You will be notified by email of the item’s arrival.